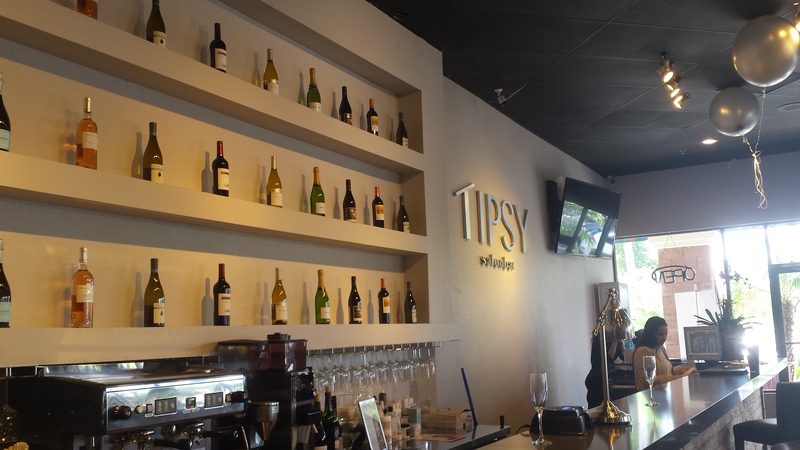 As I ent ered Tipsy’s newest Salon Bar, located in Boynton Beach where the former Yossi Salon used to be, I thought for a second I might have arrived at the wrong destination. As I looked around at the chic, and highly modern décor I did a double-take and suddenly realized the individuals enjoying libations at the bar were actually also getting their nails done or hair colored. The environment may look like a trendy South Beach Night Club but getting you “tipsy” is definitely not what Tipsy Salonbar and Lounge is solely about. There menu lists out options of wine from $7 to $10, Beer starts at $4 and then they have other cocktails like their signature Lychee Mimosa or Prosecco. For those looking for alternatives to alcohol they also offer non alcoholic beverages such as Green Tea, Coffee, Water and OJ. Drink up at the bar, all while you enjoy a full service salon and spa offering hair cuts, hair color, manis, pedis, facials, waxing and massage. I really love Tipsy’s concept of a bar lounge and salon/spa all-in- one. The environment truly lends itself to bridal parties, birthday parties, a date night out, and girls outings. Getting pampered plus sipping on a cocktail in the process is definitely an ideal match. 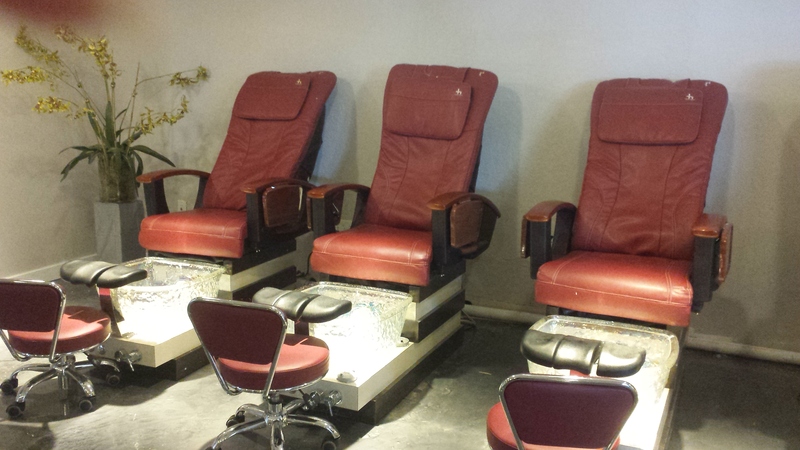 But the one thing that really stood out to me besides the pristine, modern décor, the highly professional Nail Technician, the vast selection of nail colors and the comfy furnishings was the fact that Founder, Beth Nguyen takes the nail biz and her clientele’s health so seriously. If a salon does not take precautions in regards to cleanliness and sanitation, your dreamy day of pampering could potentially become your worst nightmare. For those who are not aware, tools like nail files and nail clippers, can spread fungal infections from person-to-person if they’re not sanitized. With a past experience as a medical doctor, Beth goes the extra mile to insure all her guests the absolute highlest level of sanitation. All tools, between clients, are treated to the degree that surgical tools are handled with an autoclave machi ne she has invested in. Liners are used at the pedicure stations and discarded after each use. 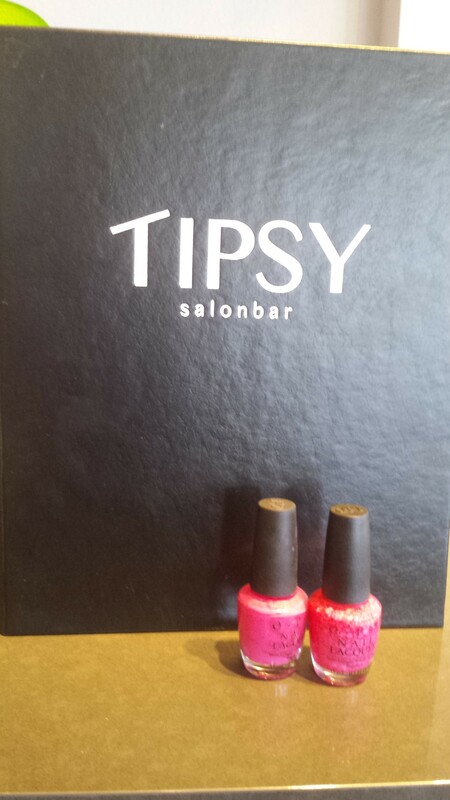 Tipsy SalonBar is located in Boynton Beach on the corner of Congress Avenue and Gateway Blvd. Come Check Luka’s New Natural & Organic Skincare available now at Downtown at the Gardens store. Night time skin care and post makeup skin care regime’s are critical if you want a flawless makeup application. 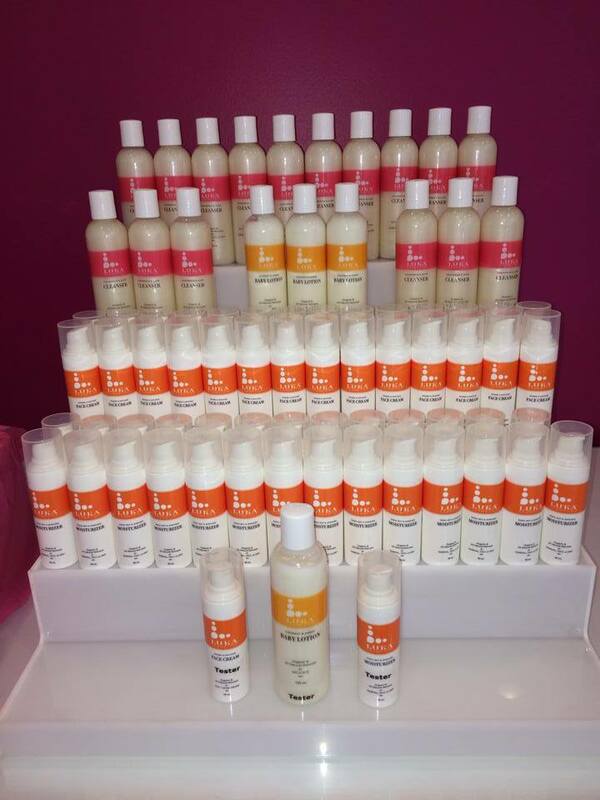 LUKA Cosmetics is now featuring an amazing skin care product line that leaves skin feeling baby soft! The line includes plant and fruit extracts such as shiitake, kui kui nut, mango, avocado, neroli, aloe, chamomile, and carrot just to name a few vital ingredients. The ingredient arnica is in the eye brightening serum, which is a major healing ingredient for bruising and scaring. After using the skin care you may notice a huge difference in your skin’s glow, elasticity, and overall appearance. If you are in search of an easy to use 3 step process prior to putting on your makeup, consider Luka Cosmetics all natural and organic skin care product line. 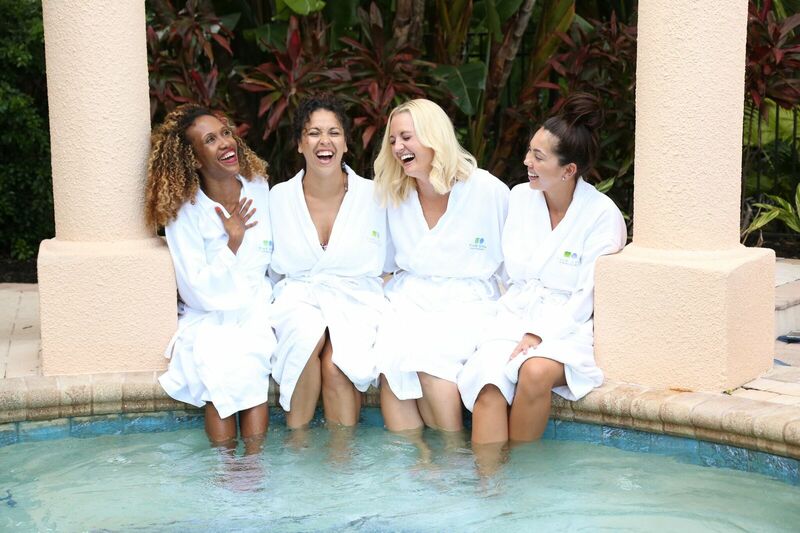 You can stop by the Downtown Palm Beach Gardens store or visit some of the other locations such as The Spa at PGA National in Palm Beach Gardens or Cosmo Prof in West Palm Beach. This Veteran’s Day, November 11th, Massage Envy is proudly honoring America’s service men and women with a complimentary one hour massage session for anybody that can prove they are active duty military, Military Spouses and U.S Military Veterans. There is limited space available so be sure to call the location nearest you to take advantage of the special promotion. With over 850 locations nationwide Massage Envy believes everybody deserves a great customized massage or facial, so they’ve made relaxation convenient and affordable. With affordable spa memberships, flexible hours and convenient locations, Massage Envy Spa is an accessible alternative to traditional day spa massage therapy and facial treatments. Meet one on one with National Makeup ArtistAdi Rico from Chantecaille Beaute. Allow her to introduce you to this revolutionary makeup line. This Thursday, September 27th and Friday, September 28th, as part of the Beauty Week festivities, Adi Rico National Makeup Artist will be at Saks Fifth Avenue from 11 am to 5 pm. Known for its high concentration of natural botanicals, Chantecaille is a luxury brand for serious skincare and beautifying cosmetics. The line stands out for the extensive research and technological innovation invested in each groundbreaking formula. It is also distinguished by the exceptional purity of its ingredients, capable of nourishing and revitalizing the skin, the body and the spirit. The make up line is renowned for its natural look, particularly the foundations that have revolutionized the way women use coverage. The color collection, also packed with skin-friendly natural ingredients and botanical antioxidants, always complements current fashion, interpreting each season’s most important hues, textures and finishes. Appointments are available by calling 561.694.9009 ext 368. Maria Salamis Master Hair Stylist offers expert hair care advice. Q. I have noticed recently my scalp is flaking and itchy? What do you recommend? If you have a dry, flaky scalp, it may be time to make some changes of your hair-care routine… Shampooing your hair the right way, by rinsing thoroughly can be an easy fix. Give L’Oreal’s “Instant Clear Shampoo” a try. Make sure you rinse with cool water until the water runs clear of suds, that’s key. Shampoo remnants left behind in your hair could result to dry scalp and flaking. Being in the hot summer heat adds dryness as well. When going to the beach or pool, be sure to cover your scalp with a hat especially during these crazy summer months. If you have oily scalp that is flaky or if you have a heavy dandruff that’s accompanied by intense scalp itch, the problem may be a form of eczema, which causes irritated skin to become red and inflamed. Scalp psoriasis could also be the cause of flaking accompanied by itchy and irritated scalp. In these cases I recommend Kerastase Bain Clarifiant, Clarifying Shampoo for Oily Scalp/Oily Hair. A full line of Loreal professional and Kerastase products are available for sale at the Salon at PGA National. And as always it doesn’t hurt to check with your dermatologist as well for peace of mind. Do you have a beauty question? Email ladyspaspa@gmail.com and you will see an upcoming blog post in regards to your question!